Imogen's Typewriter. 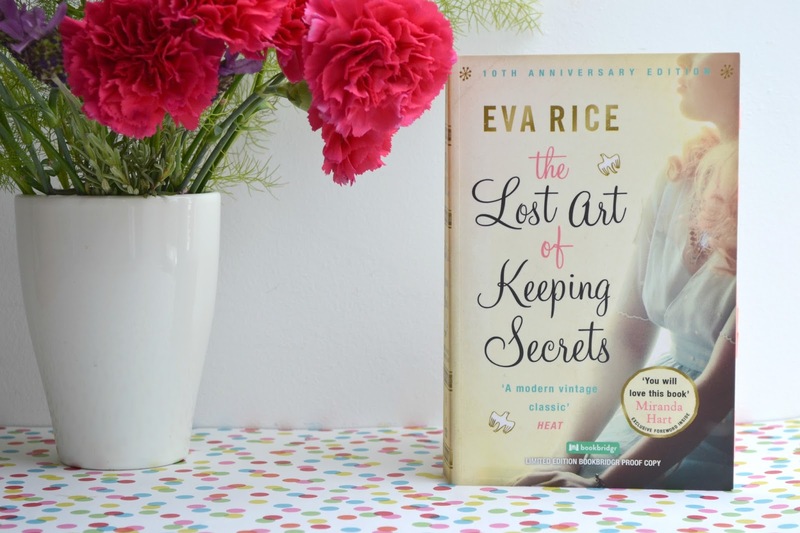 : Book Review: The Lost Art of Keeping Secrets by Eva Rice! Book Review: The Lost Art of Keeping Secrets by Eva Rice! The Lost Art of Keeping Secrets by Eva Rice is being republished after ten years with a new foreward by Miranda Hart, whom I love and who loves this book about as much as I do. It's set in the 1950's and we follow an 18 year old girl making a new friend and finding her life tipped off-kilter. The story is based in an amazing time in history; Post-War England with America just becoming popular and the beginning of so many technological advancements and the 50's music revolution. It's a slow paced book, but by no means is that an insult. I just wanted to savour it so probably not the best pick for a readathon. I'm so pleased I picked this book off the shelf though, Miranda Hart was right with her quote on the cover, I really love it. This writing is extraordinarily beautiful, but is always very clear and doesn't use over-the-top language or anything like that which is common in historical fiction. Really the word that springs to mind is... Enchanting. Utterly enchanting. I'm already aching to re-read this book, but my TBR is pulling me away. One day! On top of all that, the characters are just so real. The main character, Penelope is in love with the musician Johnny Ray while also working on her degree and worrying about her mother. She becomes best friends with a very extroverted girl who has a cousin in love with his ex-girlfriend and everyone is just so multi-dimensional. There are no background one-dimentional characters like other books and it just makes the book feel so great quality. The new edition also comes with a prequel story; The Moth Trap. It goes back to a time mentioned in the book and tells the story first hand. This was a really lovely addition that really rounded off the book for me and put another perspective into the mix that was really different and refreshing. If I had an old edition of the book, I'd buy a new one just for that. In conclusion, I am completely in love with this book, the characters, the writing and everything about it. If I could give it more than five stars, I would. You can buy the book here! She was utterly familiar to me, like a character from my favourite book come to life. Have you read The Lost Art of Keeping Secrets? What did you think?